Catnip can add fun to your cat's day. Although it is entertaining to watch your cat act silly with catnip, it isn’t unusual to be concerned about the possibility of overuse harming his health. You might wonder whether catnip is addictive and whether it is safe for your pet. Catnip is a member of the mint family. It contains a chemical called nepetalactone that has an interesting effect on some cats, though scientists can’t explain why. What scientists do know is that catnip is not addictive. 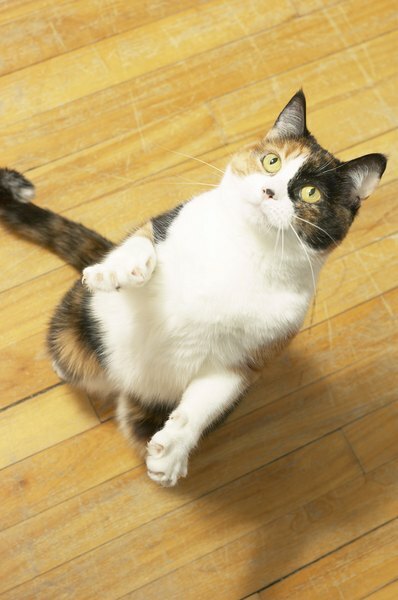 Felines affected by nepetalactone will roll around and act “high,” with some cats even behaving with playful aggression. This response is much like that of a female cat in heat. Typically the effect lasts about 10 minutes, and then the cat returns to his normal behavior. However, in a couple of hours he can return and get silly all over again. Unlike with an addiction, cats do not feel a need to seek out catnip to get a fix; they simply enjoy it when it is available and then go on with their normal cat lives. Interestingly, the sensitivity to catnip seems to be inherited and has nothing to do with addiction. Not all cats are affected by this herb. It is also notable that big cats, including lions and tigers, can have the same reaction as your house cat. The effect seems to occur once cats reach 3 to 6 months of age, though senior cats don’t have as strong as a reaction. Fortunately, there is no evidence that catnip is harmful to cats, so you don’t have to worry about your cat OD’ing. Catnip is completely safe for cats to eat, roll around in and enjoy. If your cat is a little on the chunky side, the herb even might encourage some needed exercise. Why Do Cats' Tails Puff Up?